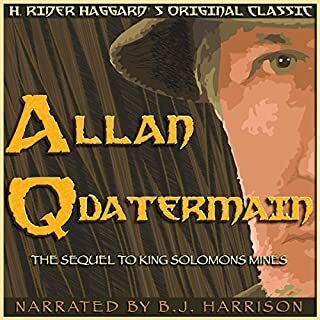 Haggard wrote Allan Quatermain immediately after King Solomon's Mines. Quatermain is wearied with the traditional English lifestyle. He longs for the wilds of Africa. He convinces his friends Sir Henry Curtis and Captain John Good as well as the Zulu chief Umbopa to return to Africa in search of a fabled race of white people. Fierce Masai warriors, subterranean rivers, creatures from the deep, and a spectacular civil war are all in store for our seasoned adventurers. It's an adventure you won't want to miss! Even better than King Solomon’s Mines! Legends tell of an unknown, hidden country where King Solomon's treasure is secreted. Many have searched for Solomon's diamonds and have never returned from their mysterious journey. Sir Henry Curtis' brother was lost on just such an adventure. 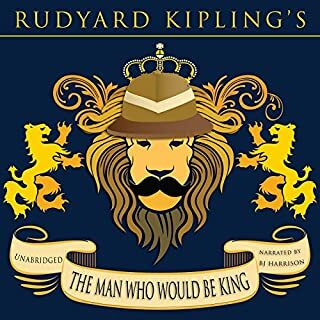 Now, with a secret map, a regal guide, and the aid of Allan Quatermain, the renowned safari hunter, a group of three Englishmen journey to a secret land of witch doctors, warriors, and ancient mysteries. 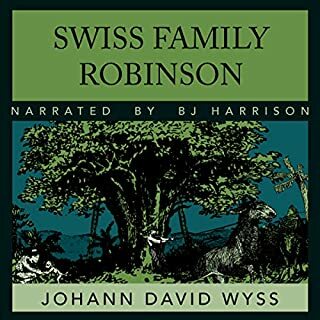 This is one of the best-selling novels of the 19th century, and has inspired countless adventure stories, including the Indiana Jones movies and Edgar Rice Burrough's Tarzan series. It's an adventure epic you won't want to miss! 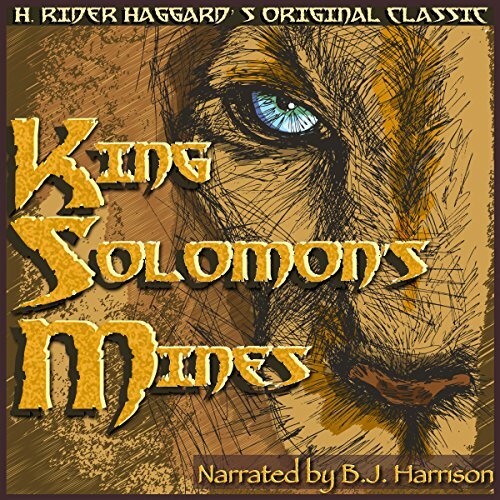 It is King Solomon's Mines... What can be said? Brilliant piece of work. I mean, what can you really say that has not already been said? Let's just consider for a moment how many motion pictures came from this book? My favorite, of course, being the Richard Chamberlain and Sharon Stone version. I saw that back in '87 or 88. Perhaps, earlier than that. This book is a classic, and if not already on the list of 1001 Books to Read Before You Die, it ought to be! I've been exploring the classics, lately, and they always seem to leave me in awe. The sheer quality of the descriptions are just mesmerizing. You can almost see every location, every rock, grain of sand, bit of vegetation, and body of water the characters are describing for you. I'd have to say, that I am so glad I have read this book because no movie can do it the Justice it deserves. I loved the 1950 movie ( Stewart Granger as Alan Quartermain ). The original story shares very little with the movie versions, but it is interesting to visit the source material. Good narration. Great Classic and enjoyed the story throughout. B.J. 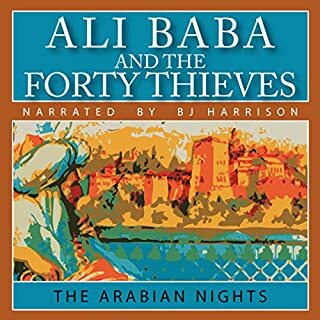 Harrison has quickly become one of my favorite narrators. He did not disappoint in this telling. The story is interesting, however the pompous colonial/imperial attitude of it doesn't age well at all. Typical memoir style story line, written in 1885. Characters are somewhat amusing and stereotypical. If you have some aversion to killing of Big Game animals, this book would not be for you. It was written in the 1800's. The books comes together and is sorta exciting at the end. 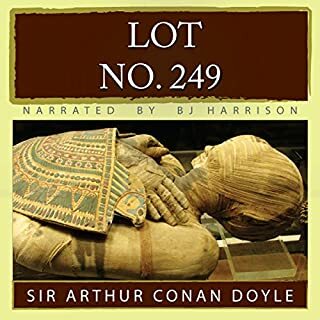 I have listened to this recording twice. For the first two chapters, I found the story a little slow, but the reader kept me listening. I was later glad of it. This is a beautiful story. I have a new definition for the word "gentleman" imprinted on my mind. I can now imagine how the British came among savages. How they survived the encounter. How they changed the people they met for the better. As to the reader, his performance is exceptional on several levels. I felt myself swept into the story immediately. I forgot that the reader was there. 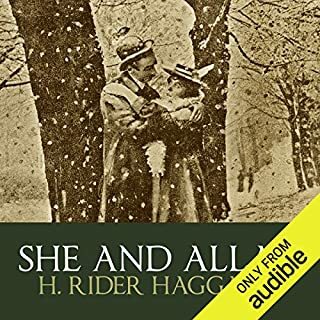 Harrison imbues the characters with emotions, as well as the narration. I highly recommend this book to lovers of classical novels set in Africa. Absolutely loved this thrilling book and great narrator. I highly recommend this terrific classic book. Dated references to race and animal cruelty made it hard to listen in spots. Did not know that going in. that being said the story was interesting and action packed.